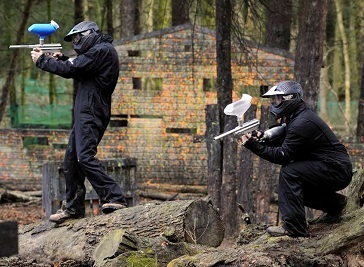 Paintball clubs in South West London offers a paintball experience unlike any other! Immerse yourself in intricate game scenarios, played out within their highly realistic Game Zones set in beautiful ancient woodlands. 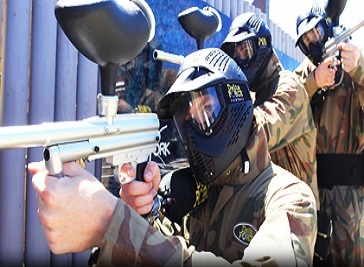 Enjoy the best paintball equipment available today, from top-of-the-line marker guns and spooky pyrotechnics to full face and body protection gear. Campaign Paintball is located nearby but please note this is a separate company and not connected with Delta Force Paintball in any way. 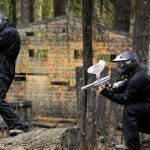 The Effingham paintball centre is best placed to serve the needs of anyone seeking to play paintball in the South West London area as this centre is located just minutes from the M25 at Junction 10. 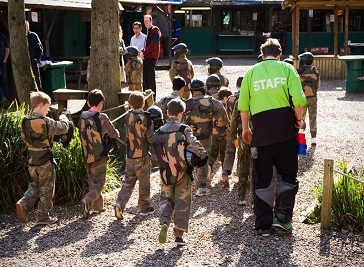 Whether you’re looking for a distinctive venue for a corporate day out, or want to take your school or youth group on an education adventure that will test their strategy, team work and problem solving skills, Paintball in SW London is the place for you!